There’s always been a sense of yearning in Paul Weller’s music, a yearning for something finer. 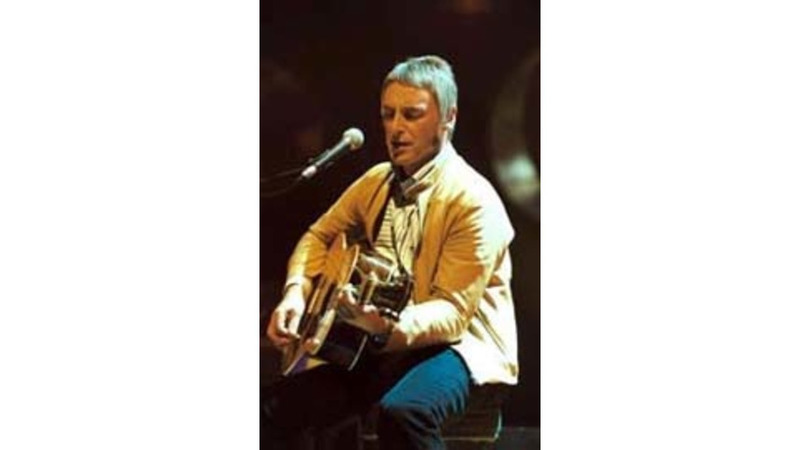 But where he once bristled against conformity with The Jam (The Modern World) and later grooved on the pitfalls of capitalism as frontman of The Style Council (The Money Go Round), Weller now focuses his muse more keenly on spiritual and emotional concerns. His approach has ripened over time, but the essential energy remains unchanged. Weller’s current U.S. acoustic tour finds him passionate as ever, delivering songs old and new with deep involvement and honest intensity. He took the stage of Chicago’s House of Blues in a floral-print shirt, hair nicely coifed. Picking up an acoustic guitar, he launched into a powerful reading of “The Loved,” followed by the title track from his latest album, Illumination. With his rich, resonant voice filling the room, Weller’s songs kept their emotional and melodic punch even with the spare treatment. Gem Archer of Oasis then joined Weller on second guitar, and the duo delivered the heartfelt Ronnie Lane tribute, “He’s The Keeper.” Their chiming guitars and sense of groove suggested a kind of soul hootenanny—a vibe that carried them warmly through the evening. Letting the music do the talking, Weller eschewed banter and drew on songs from every phase of his remarkable canon. The original bouncing pop of “Headstart For Happiness” took on a more subtle elegance, while the affecting “Bag Man” was marked by deft guitar harmonics. While the set drew from Weller’s 20 years of material, a theme of the struggle and celebration of love and human compassion ran throughout. By the time he returned for his encore, including the pastoral “Wild Wood” and an impassioned rendition of “That’s Entertainment,” Weller once again proved his integrity and sensitivity as an artist and performer.